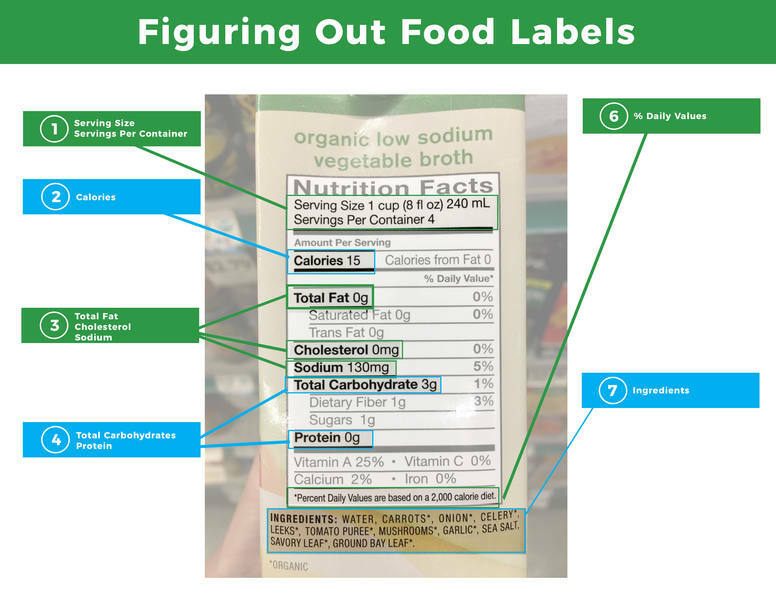 Reading food labels can help you choose wisely when food shopping ― if you know what to look for. Food labels identify the food, the amount inside the package, ingredient list, nutrition information and nutrition facts.. Standardized serving sizes enable you to make nutritional comparisons, which can help you choose more nutritious foods, determine which foods have lower calories and more dietary fiber content, maintain a healthy weight, and consume foods high in nutrients. Here's a simple step-by-step summary of the essential features. by By Tandis Bishop RD and updated by Sabra Rebo, RD. Time and again we see news reports on studies that remind us of the health benefits of a plant-based diet in reversing coronary heart disease (CHD). In 2010, a study was published in the World Health Organization’s weekly journal, the Bulletin of the World Health Organization. 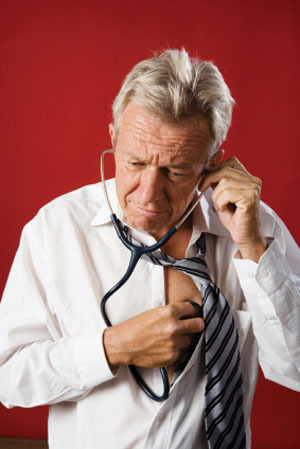 According to the study, nearly 400,000 people were expected to die of coronary heart disease in the United States in 2010. While the H1N1 Flu (Swine Flu) makes this year’s flu season particularly worrisome, there is good news. According to Hawaii Health Department spokeswoman Janice Okubo, the rate of non-fatal flu cases in Hawaii — either seasonal or H1N1 — is down from earlier this summer. But, she warns that widespread outbreaks in some Mainland states could easily spread to Hawai'i at any time. 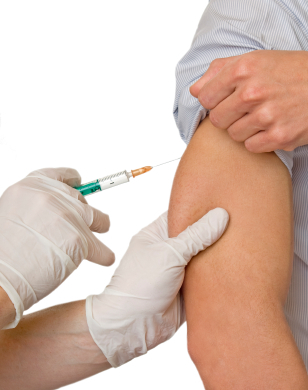 To help prevent an outbreak, the Hawaii Department of Health (DOH) recommends that everyone get the new H1N1 vaccine as it becomes available. Down to Earth has begun adding the ‘Ekahi Ornish logo on selected items that meet stringent Ornish requirements for a healthy diet. “We made this decision as part of Down to Earth’s partnership with the ‘Ekahi Ornish Lifestyle Medicine program,” says Sisi Kong, Down to Earth’s Community Outreach Team Leader. Taking Off the Pounds Made Easy! Here we go, one more time! It’s January so that means another resolution to eat healthier and lose weight. Somehow ya’ gotta get rid of those extra five to eight pounds from holiday feasting! Read more about Taking Off the Pounds Made Easy! With political turmoil and heightened emotions causing so much anxiety these days, it will be good to pause for a moment and think about how you want to enter this year’s Christmas season. What positive experiences do you want and what can you do to make that happen? Lessons handed down by spiritual leaders for millenniums ring true today as ever before. Enter this year’s Christmas season with a spirit of love and compassion—indeed “good will.” We love it when we are treated in this way, and we know it is what makes this time of year so special. Why not pass it forward? With the holiday season upon us, the time has come once again to start planning for sumptuous dinners, decadent desserts and the comfort of family to share it all with. Whether you are hosting this year or bringing a dish to a potluck, the good news is that you can enjoy many of your favorite holiday dishes while maintaining your healthy lifestyle. Many women—especially moms--work harder than most anyone and get little acknowledgement for it, all while weathering stress that would cave most men. This article is to acknowledge all they do and suggest a few ideas they may consider to help guard their health. Too often we take for granted everything women do in contributing to the family income by taking on a job or developing a professional career while taking care of their family, households, and raising children. Also taken for granted is the stress that results from all the expectations that come with it. Read more about Let’s Hear it For the Women! When we think of Mother’s Day gifts, we usually think about what to buy. This year, consider making something. Handmade gifts are the best, and moms love them because they come from the heart. So then, what to make? When we were kids, mommas would take care of our every need. They would feed us, dress us, hug us and kiss us. They bathed us as babies and made sure our skin was properly cared for. They checked us for chafing and anomalies, and made sure the products they used were gentle and right for our skin. We were happy!